We’re delighted to publish the dot ie Domain Profile Report Q3 2017. A total of 20,255 .ie domains were registered in the first six months of 2017*. This amounts to 112 .ie domains being registered every day from January to June 2017, which is an 11% increase on the same period last year and is the best half-year period for new .ie domain registrations since 2011. 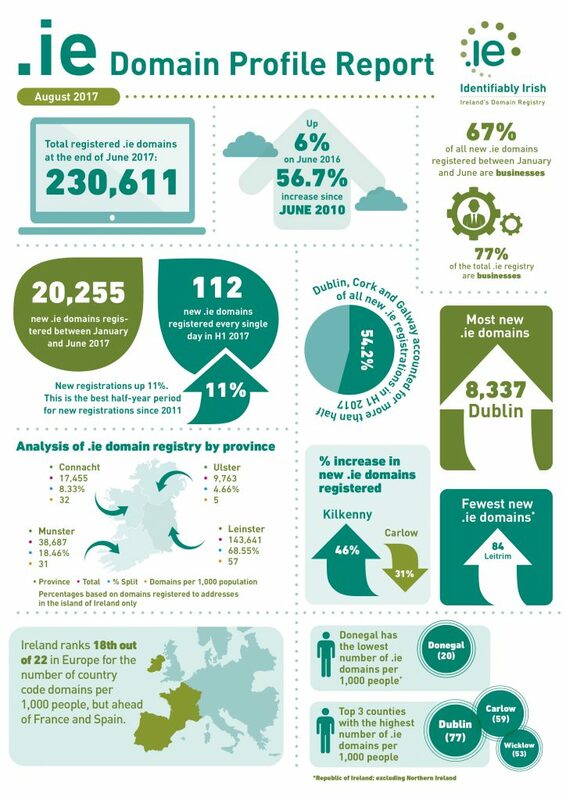 There were 230,611 registered .ie domains by 30 June 2017, up 6% year-on-year. The dot ie Domain Profile Report examines and analyses the make-up of the .ie database, also showed that most (67%) .ie domains registered in the first half of 2017 were registered by SMEs, namely corporate bodies and sole traders. 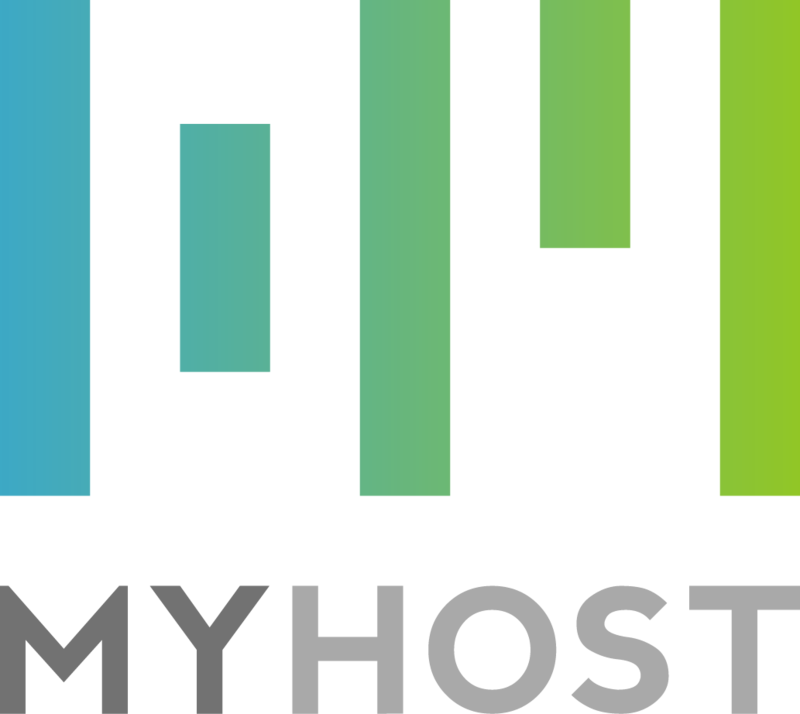 When broken down geographically, the vast majority of new .ie domains registered in this half-year period were registered on the island of Ireland: 98%, or 18,849, in the Republic of Ireland (up 9%) and 2%, or 324, in Northern Ireland (up 8%). 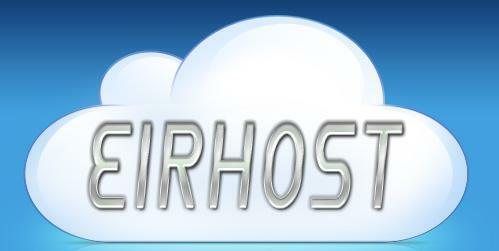 1,082 .ie domains were registered outside of the island of Ireland, down 7%. On a provincial scale, Leinster accounted for the largest number of new .ie registrations, with 12,645 (66% of all new .ie registrations, up 11%) followed by Munster, with 3,847 (20% of registrations, up 16%); Connacht, with 1,700 (9% of registrations, up 16%) and Ulster, with 981 (5% of registrations, up 15.5%). On a county scale, Dublin registered the most .ie domains (8,337 or 41% of all new registrations, up 13%) in the first half of 2017, followed by Cork, Galway and Kildare. The longest .ie domain name is: irishwordsofwisdomoureldersusedtosayandothertreasuresfoundalong.ie (‘Irish Words of Wisdom Our Elders Used to Say and Other Treasures Found Along’). At 63 characters this is over six times longer than the average .ie domain length of 10 characters. Commenting on the findings, our CEO, David Curtin, said: “The remarkable half-year growth of .ie domain name registrations is a testament to the strength of the brand. SME owners and consumers recognise that .ie is ‘Identifiably Irish’ online, representing trust, authenticity and familiarity. “This is partly an infrastructural issue. Ireland still lacks a complete high-speed broadband network, and continued delays to the National Broadband Plan will not only disadvantage rural citizens but stifle the growth of rural SMEs, making them less competitive. Our own research has shown that 83% of consumers expect a business to have an online presence and 74% find it frustrating when it does not. “A poor or absent broadband connection restricts many businesses from reaching out to new customers, conducting market research and, most importantly, engaging in e-commerce. Ireland’s share of the European e-commerce marketplace is €9 billion, yet most of that spend goes abroad, spent on websites of foreign retailers. According to IEDR’s latest dot ie Digital Health Index, less than a third of Irish SMEs can take sales orders or process transactions via their website. That number simply must grow if Ireland is to be a viable player in the international digital marketplace. Click here for a copy of the full dot ie Domain Profile Report Q3 2017. * This period covers 1 January—30 June 2017.